Maximum Torque 150 - 175 ft./lbs. 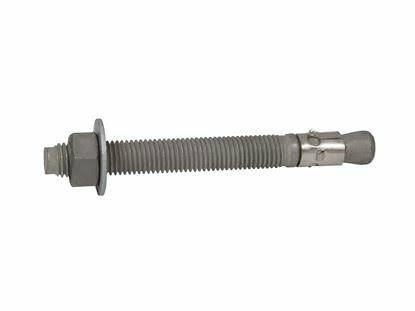 Drill a 3/4" hole into the concrete using a carbide-tipped bit that meets ANSI Standards B212.15. Drill the hole a 1/2" deeper than the anchor will penetrate the concrete, making sure the minimum embedment requirements of 3-1/4" is met. The hole can be drilled while the fixture is in place. 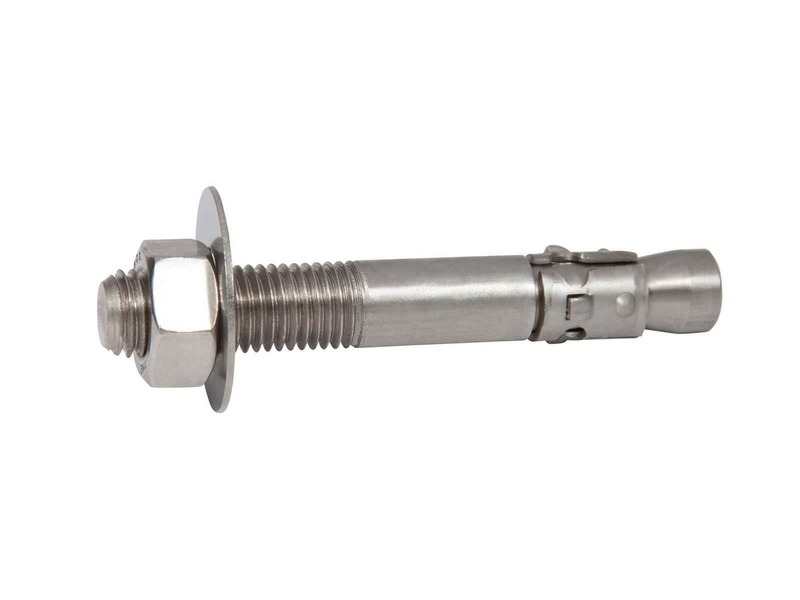 The minimum hole in the fixture for the 3/4" x 5-1/2" (three one six) 316 Stainless Steel Thunderstud Wedge Anchor is 1". 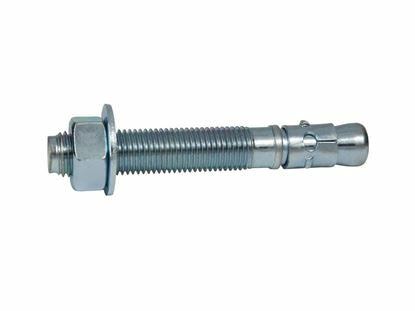 Put the nut and washer on the 3/4" x 5-1/2" (three one six) 316 Stainless Steel Thunderstud Wedge Anchor, making sure the nut is on the last threads; this will protect the threads from damage when the wedge anchor is hammered into the hole and into the concrete. 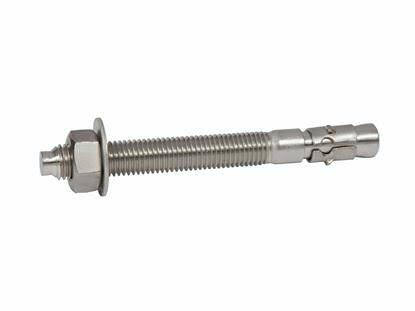 Using a 1-1/8" wrench, turn the nut 3 to 4 times until snug or until the proper torque value of 150 - 175 ft./lbs. is reached.